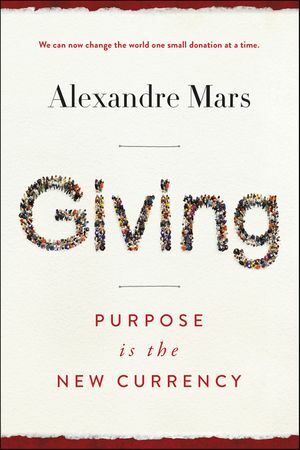 Those two questions defined Alexandre Mars’s journey from venture capitalist to activist. In 2013, Mars began a worldwide journey to learn from people on the ground. He saw a world that was already changing. Fueled by a passion for social change, young people everywhere donated their time and money, but it wasn’t enough. There was a barrier to giving. People didn’t know what nonprofits were trustworthy and didn’t have the time to do the research. Giving became a burden instead of an encouraging and joyful practice. Mars’s solution? Epic, a foundation that sends 100 percent of user donations to rigorously vetted charities while reporting its impact in real time. But this isn’t just Epic’s story, this is about a movement driven by our deep-seated desire to give. It’s about how the benefits of technology—increased connectedness and transparency—can amplify impact. It’s about holding our new centers of power—multinational corporations—accountable. It’s an urgent call to action: give more, give better. 100% of the author's proceeds will go the Epic portfolio organizations to help disadvantaged youth.